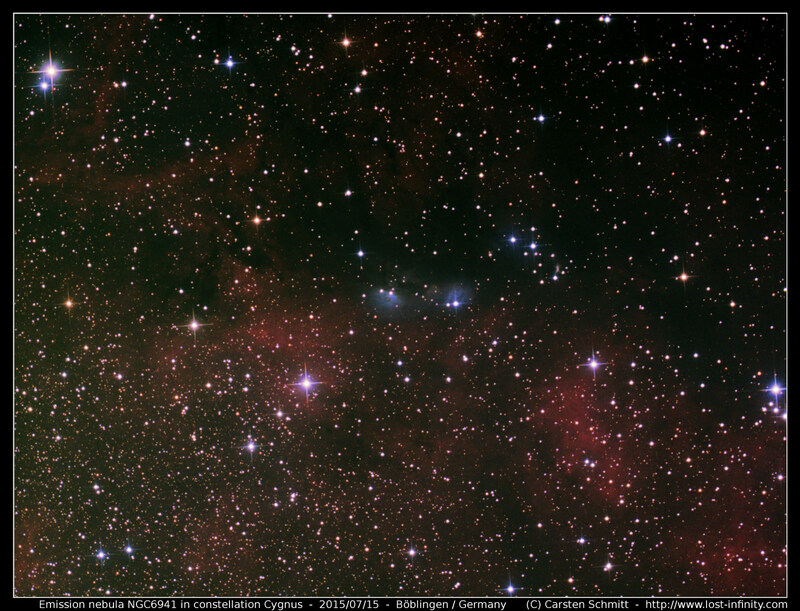 This is a shot taken from a less popular region in constellation Cepheus. 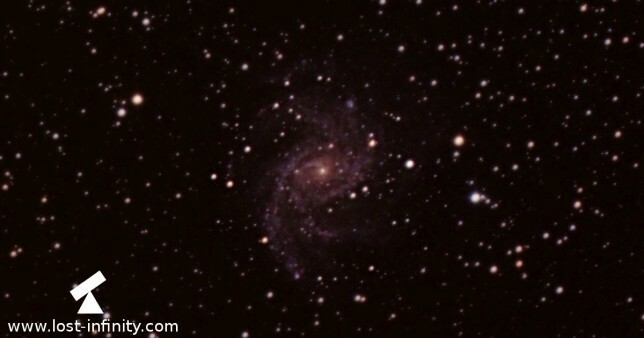 On the bottom right is the spiral galaxy NGC6946 also known as Fireworks Galaxy. 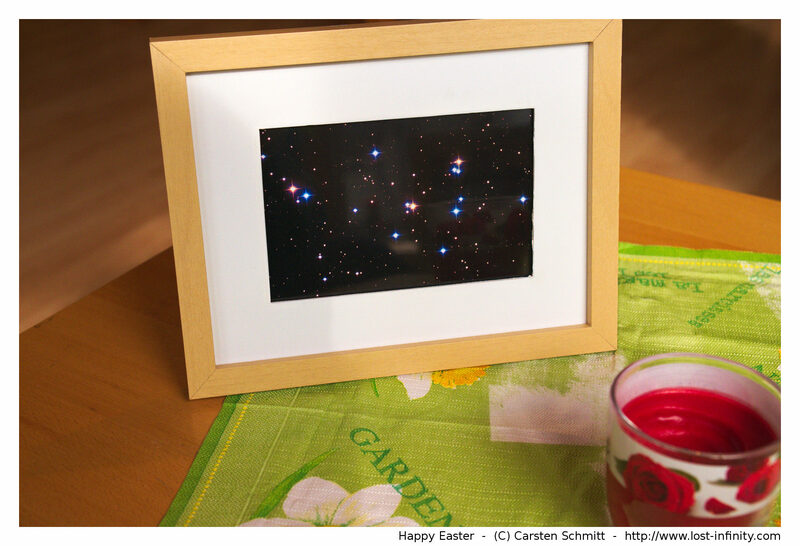 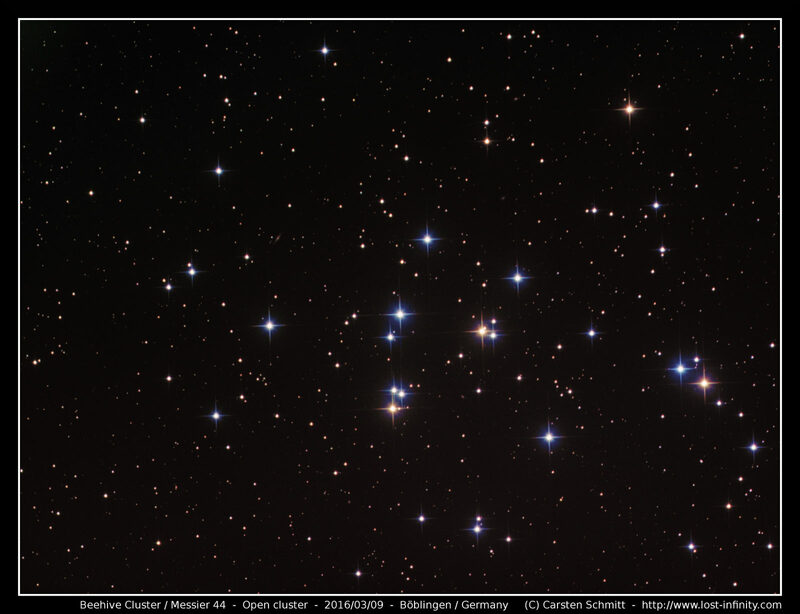 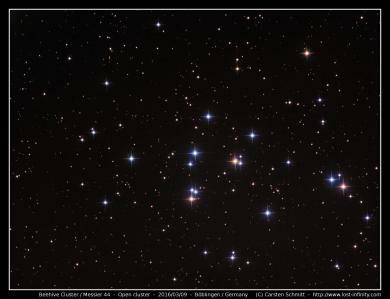 On the top left is an open cluster with the great name NGC6939. 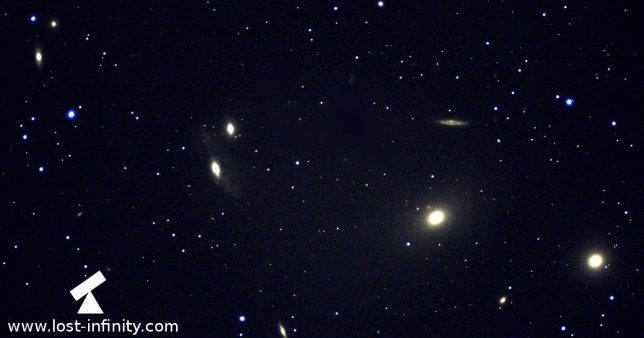 The seeing was ok but could have been better... like most of the time 🙂 For more details on the equipment take a look at the equipment page. 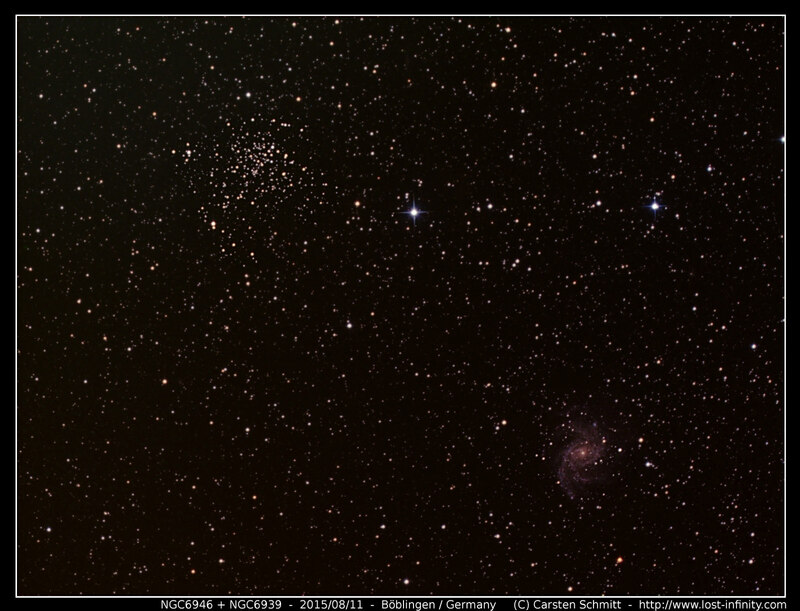 For stacking the images I used DeepSkyStacker 3.3.2 with Kappa-Sigma Clipping. 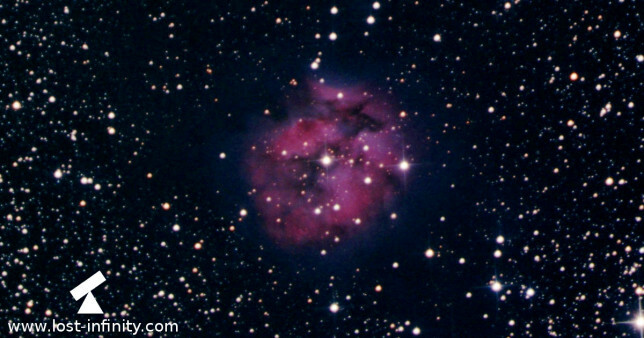 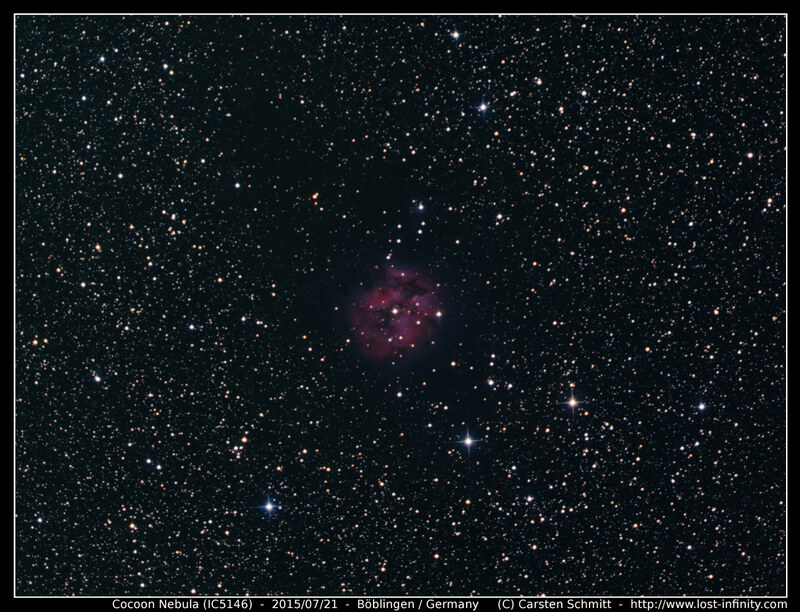 Tonight I imaged the Cocoon Nebula (IC5146) in the constellation Cygnus. 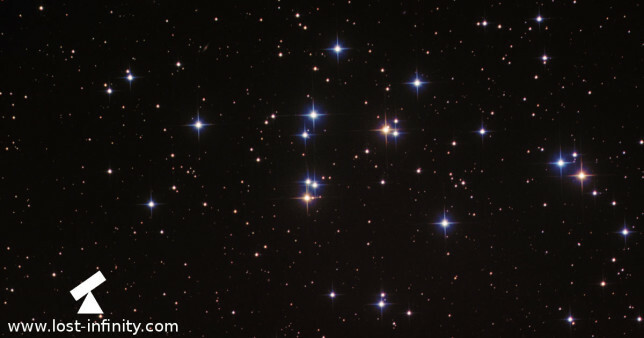 The cluster is about 4,000 ly away. 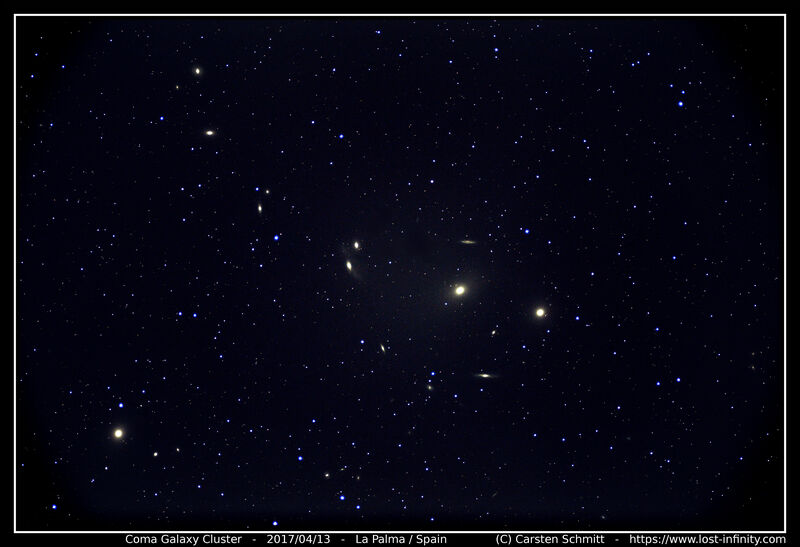 The picture is also available in full resolution here. 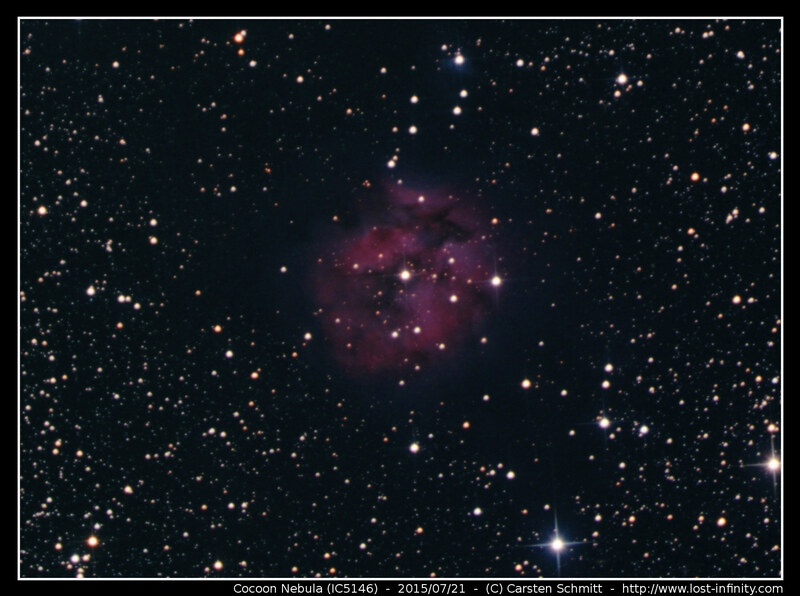 Behind the unspectacular name NGC6914 a nice emission nebula in constellation Cygnus is hidden. 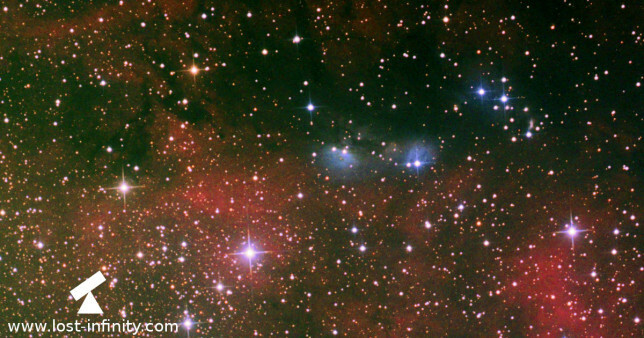 To me the nebula looks a little like a dark monster with two deep blue eyes 😀 The picture is also available in full resolution here.